We manufacture trailers to the clients specification. 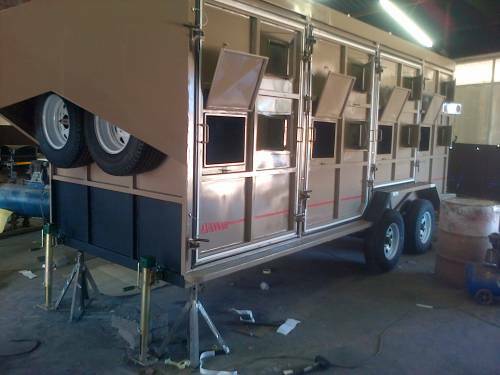 Offering custom and standard trailers build at the highest standards and quality. Best sellers is Cattle trailers, utility trailers and car trailers. Contact us for free quote and get your trailer manufactured and delivered.